I headed down to Town Beach last night hoping for a late afternoon slide. There was a fun little wave running through Chickens, but there was a pile of kids and ladies out enjoying the gentle waves and it just would have been weird to paddle out and hassle them. I kind of wish I had though, it's junk this morning. If you have some jobs you've been putting off it's probably a good day to get them out of the way. A strong cold southerly is making a mess of most beaches and the protected corners aren't doing much at this stage. Sharing is caring - but don't ding your Bing. Cainy and a stoked grom. 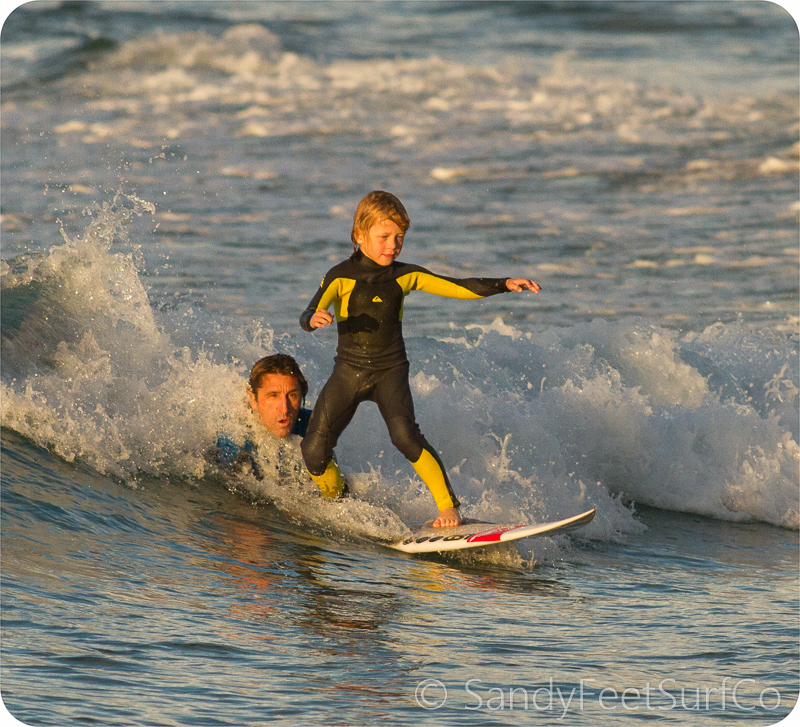 It wasn't just the surfers enjoying a sunset ride. Even the kids were sharing - kind of.